Ok, so clearly I'm not present with the contents of the veggie drawer in the fridge. Yes, that is celery. 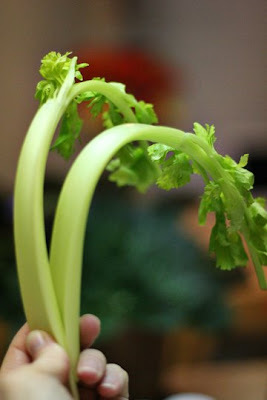 Hurting, limp, floppy celery. Just how are you supposed to store celery anyway?